Developing your sales by increasing the value of transactions has never been an easy thing to implement. 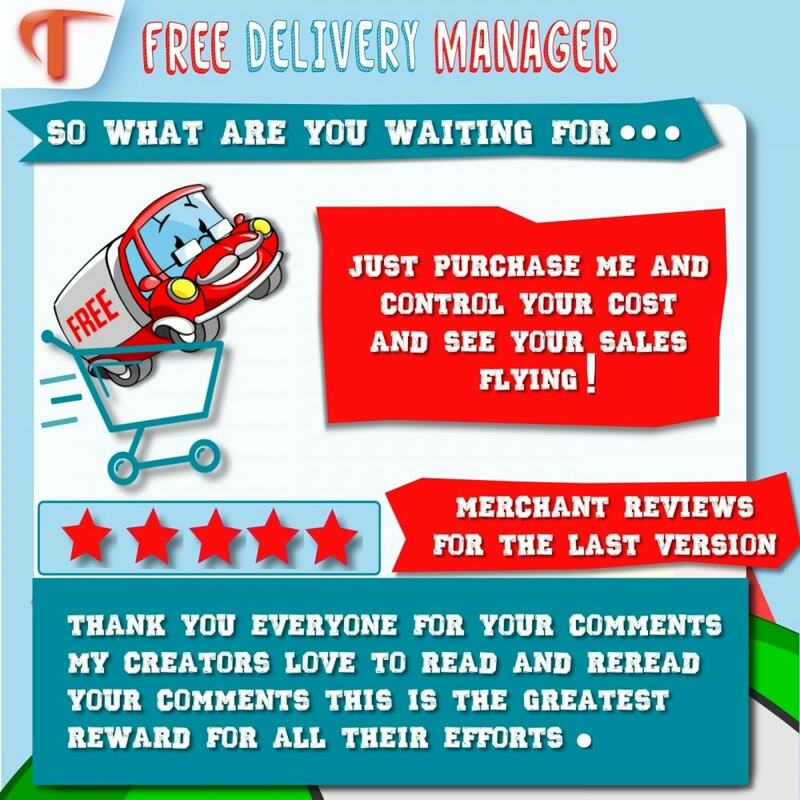 The “Free Delivery Manager” module is actually the perfect solution for offering your respected customers free shipping through objective rules. It is the promise of a rise in the amount of orders with total control of delivery costs. The module allows you to calculate in advance, with the help of precise rules, the necessary conditions for unlocking free delivery. The management and monitoring are done according to carriers, delivery area, price, weight, or any other criteria you term as important for your business. In presenting to the customer, in their order summary, the amount remaining before delivery is available, so you definitely encourage them to order more. Highly detailed statistics visually present two types of reports together. The first one presents the number of orders that have benefited from free delivery, as well as the total and per-order amount that this cost you. You really control the impact of delivery costs. The second report displays the detail of costs caused by free postage and the orders where the rules for free shipping are applied. 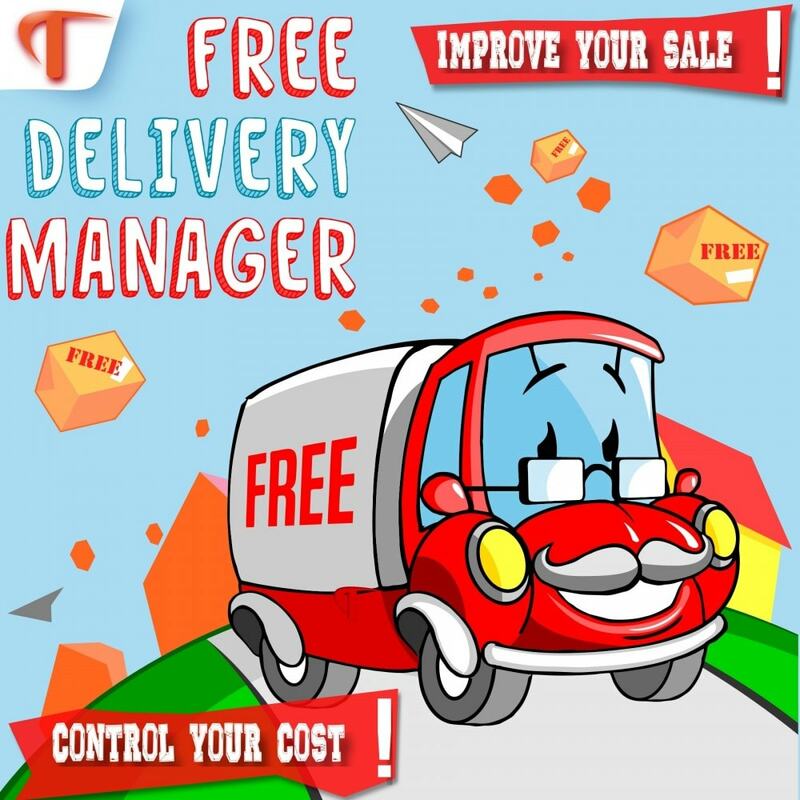 Thus, the “Free Delivery Manager” module increases the value of transactions as well as the number of orders! This module has been constantly evolving, many thanks to user feedback. TimActive, in fact, grants great importance to your perception of our solutions and of the improvements that can be added. This particular module, which is perfectly integrated into Prestashop, is accessible through the “Carriers” tab. From the administration panel, you will define very precise transaction rules. 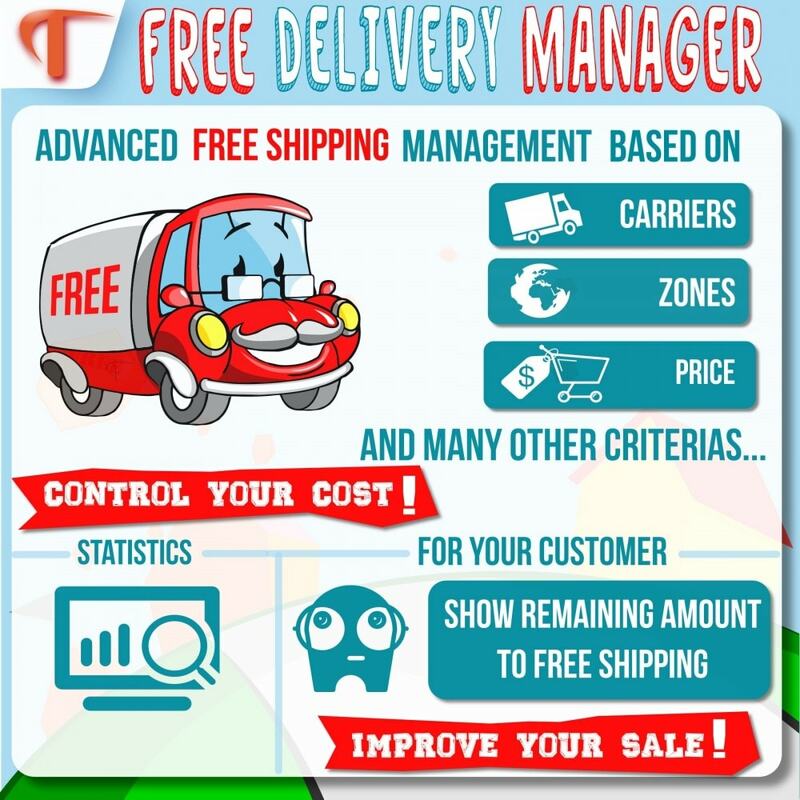 The multiplicity of criteria, which entail carriers, delivery area, value of HT or TTC transaction, and order weight all give the “Free Delivery Manager” module flexibility of use and total control. 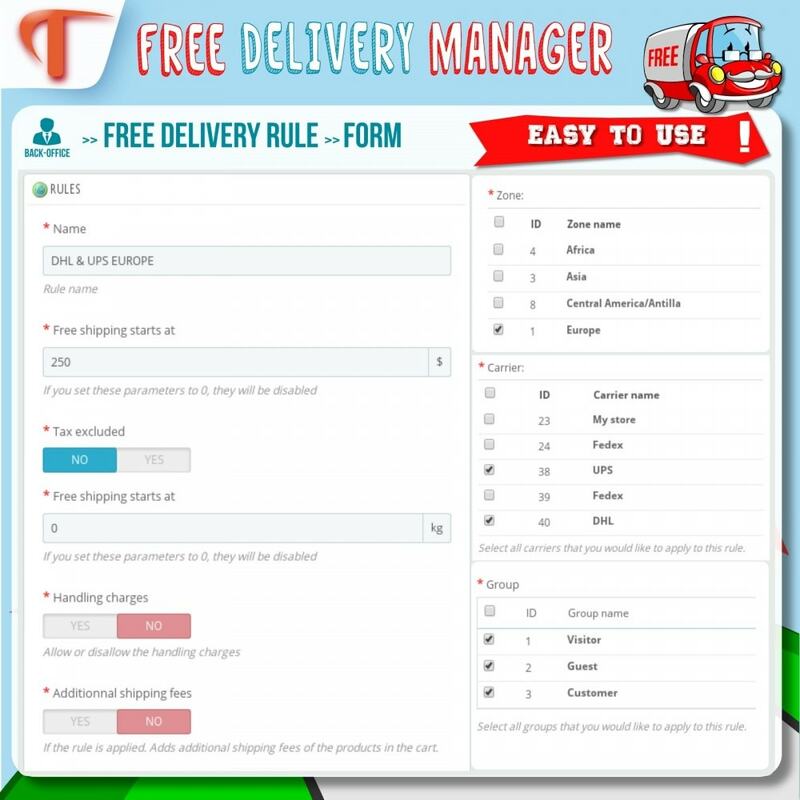 For customers and visitors, the “Free Delivery Manager” module shows a block in the order summary informing them of the conditions they need to fulfill in order to benefit from free delivery- whether it is in terms of value, weight, etc. The visibility of the minimum amount of purchase or of the weight remaining, as well as the postage price according to the carriers, allows customers to get a clear idea on the conditions of delivery. The reference module to encourage your customers to order more! The visibility of the minimum amount of purchase/weight remaining as well as the postage price according to the carrier, allows customers to have concrete information on the conditions to fulfill. Just a great module. Solved all my free shipping problems. Thank you!!! Installation of this module is quite easy. You can have it installed by just a single click. The administration and configuration of the module are accessible through the “carriers” tab and takes 5 minutes or less.